Our special departure tours feature unique and exclusive vacations that are truly a once-in-a-lifetime opportunity. Explore a selection of carefully planned itineraries that our tour experts have created choosing the best of the best from each destination. Create the custom vacation of your dreams. You tell us where you want to go, and what you want to do, and we'll do the rest. Our dedicated team of travel experts are here to help. 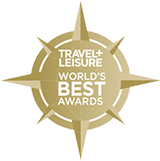 Get useful information and insider deals on our award-winning adventures. We look forward to traveling with you! Keep up-to-date with the latest adventures and news from Boundless Journeys.